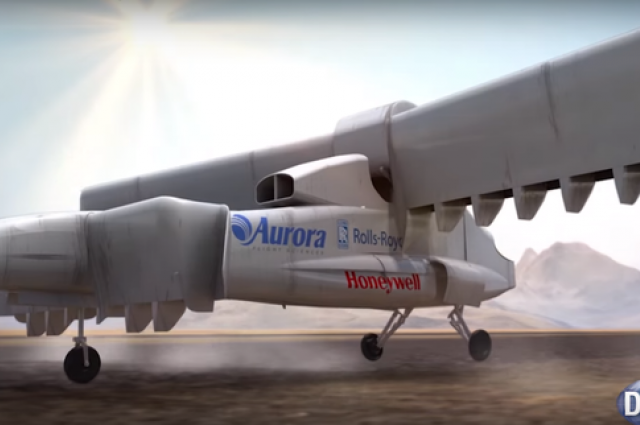 The Defense Advanced Research Projects Agency (DARPA) has signed the second phase of its design contract with Aurora Flight Sciences. The project is called the "X-Plane" a VTOL aircraft or Vertical Take-Off and Landing aircraft.The aircraft would be powered by 24 ductless fans with a 4,000 horsepower engine that can generate up to 3 megawatts of electricity. From its name Vertical, it can rise from the ground with a 90 degree-angle. To win the contract, Aurora had to conceptualize the the demands of DARPA. In accordance to DARPA's demands, the plane can have a top speed of 345 to 460 miles per hour and it can carry a load about 4500 kg.According to Aurora Flight Services, the X-Plane can outperform the existing vertical plane V-22 Osprey, despite the engine's similarity.Want to know more about this awesome device? Follow this link!